Namco Bandai announced yesterday that the latest in the Dragon Ball series of games, Dragon Ball: Origins 2, will be arriving State-side this summer and, best of all, it'll be arriving with co-op. 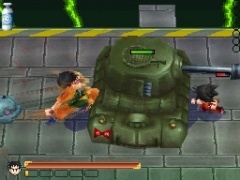 The single-player portion of the game will revolve around the adventures of Son Goku as he takes on the Red Ribbon Army, while the co-op portion will be a separate piece that's focused on specific co-op challenges for two players. Players will unlock these challenges through progress in their single-player campaign, though hopefully there will be some challenges available to players from the start. Keep reading for the full press release as well as a few screen shots from the upcoming title. 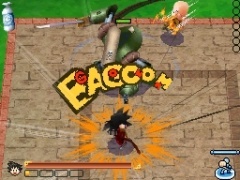 SANTA CLARA, Calif., (Feb. 18, 2010) – Leading video game publisher and developer NAMCO BANDAI Games America Inc., announced today that Dragon Ball®: Origins 2 exclusively for Nintendo DS™ will be available in North America this summer. 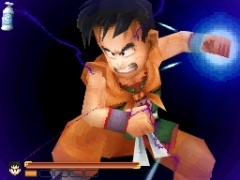 A follow-up to the original Dragon Ball: Origins for DS, Dragon Ball: Origins 2 continues the story of series hero Goku’s early years as he and his friends search the world for the seven enchanted Dragon Balls. 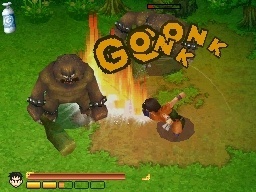 The new action-adventure game includes an array of features including the ability to play as different characters along the way and the option to team up with a friend for co-op multiplayer challenges. In Dragon Ball: Origins 2, players battle through the Red Ribbon Army saga covering Goku’s first encounters with the nefarious Red Ribbon Army up to the resurrection of Upa’s father, a member of the native tribe who serve as the guardians of the mystical Korin Tower. 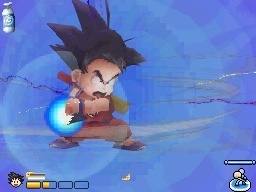 Players have the chance to play not only as Goku, but also the added variety of familiar faces he encounters as the journey progresses including Krillin, Bulma, Yamcha and more, each with their own abilities and power-ups. 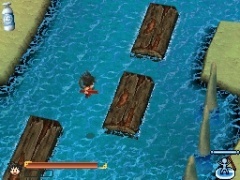 The whimsical and beloved graphical style of the series comes to life as animated cut-scenes unfold the story. 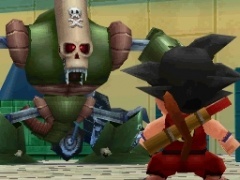 A challenging mix of action and exploration awaits, as Goku and friends must use a wide range of skills to solve puzzles, find treasure chests, and defeat armies of baddies. 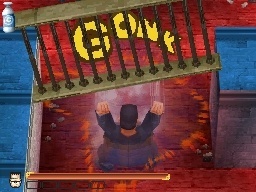 A situation-based camera adapts with the changing gameplay to bring players closer to the action. 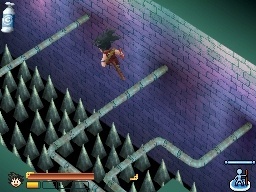 An overhead view allows players a broad perspective as they jump, swing and charge through forests, underwater areas and more. 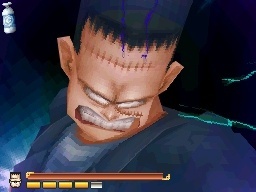 Meanwhile, key boss battles switch to side-view to emphasize the signature fighting style of the Dragon Ball series. 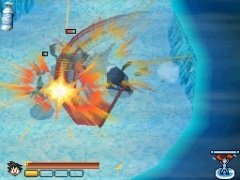 With support for both stylus and button input options, players are free to choose their preferred control style. 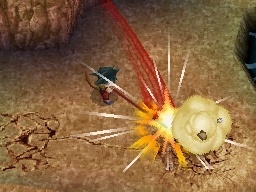 In addition to an exciting single-player mode, two players can join up for satisfying co-op multiplayer challenges via a wireless local connection. 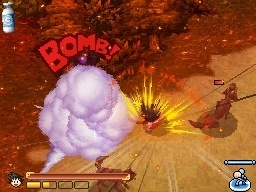 By playing the single-player adventure, special multiplayer stages including challenging boss fights unlock and become available. Players are also able to carry over their saved character from the single-player mode as they battle alongside friends in co-op mode. 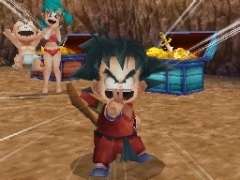 Dragon Ball: Origins 2 for Nintendo DS™ will be available in summer 2010. For more information about the game, please visit www.namcobandaigames.com or http://dragonball.namco.com. To join the official fan community, please visit http://www.gokuscorner.com. 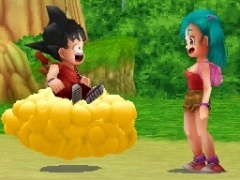 The first game, Dragon Ball: Origins, was fairly well-received, so hopefully the second one will be as good, if not better; and hopefully the co-op challenges will prove to be a fun addition. 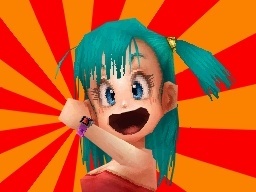 Page created in 1.0696 seconds.